An environmental book for children, which teaches the effects of improper disposal of waste and its impact on our planet, has been published. 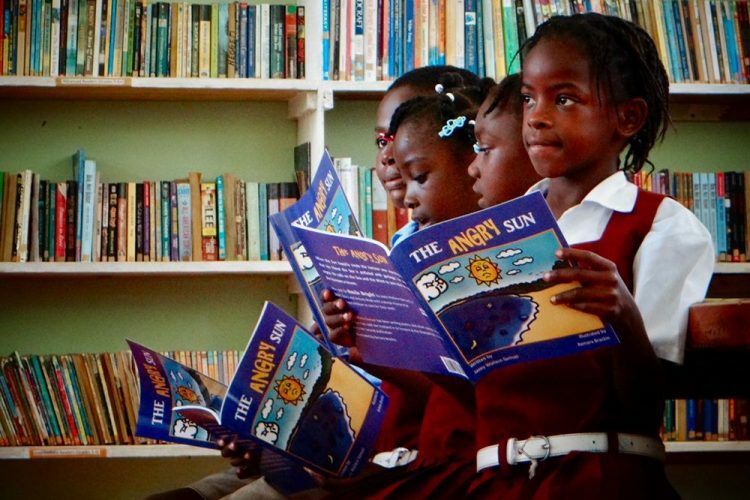 âThe Angry Sunâ, written by talented Vincentian author Jazey Wallace and illustrated by Vincentian artist and teacher Kemara Brackin, was distributed to the pupils of the Chateaubelair Government School on March 21. A dental assistant by profession, Wallace said writing is her first love, to which she was drawn as early as when she was in primary school. “I enjoy writing fictional storiesâ¦merging facts with entertainment to deliver beneficial information to my readers,â Wallace said. She described her first book, âSmile Brightâ as an adventurous dental story that children can sink their teeth into. Her latest publication, âThe Angry Sunâ, is a tale about the effects of improper waste disposal and its impact on our environment. “Everything we do impacts the world around us, and ultimately our planet. From the food we eat, to the garden we grow, and the trash we throw awayâ¦every action has an effect, whether good or bad. Then, a healthy environment is dependent not only on our sanitation workers, but is the responsibility of each of us,â Wallace said. She said she is honoured to have collaborated with the Richmond Vale Academy in their ongoing environmental preservation campaign. She also expressed heartfelt gratitude to the Mustique Charitable Trust for their support of the Richmond Vale Academyâs initiative and for helping to distribute copies of âThe Angry Sunâ to schools in St Vincent. The Chateaubelair Government School was the first school to receive copies of the book.